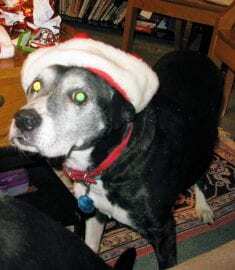 We were blessed to have Casey for 17 years. She was a sweet loving girl originally a birthday gift to my wife’s 10 year old son 17 years ago. She became my little girl when her son went off to college. She was a mixed terrier/lab/beagle and was very agile up until six months prior to her death. She used to go on mile walks with her buddy Dane, a black lab, when she was 16. When she was younger her and Dane used to escape from our backyard almost on a monthly basis and would roam miles from the house until a kind soul would call us from the number on their collars. She was a very special girl with the soul of the world in her eyes. I would give anything to have her back.